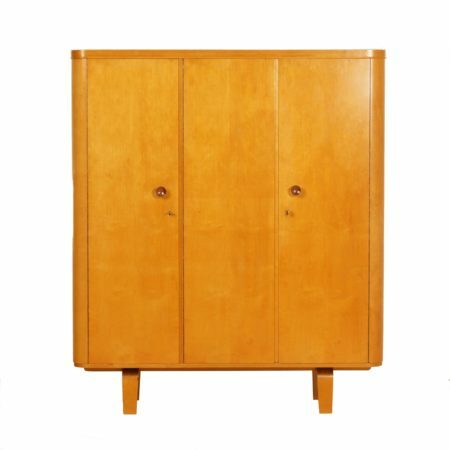 Large Den Boer wardrobe designed by W. Lutjens for Den Boer Gouda in the 50s. Specific to this cabinet are the rounded sides with birch veneer, the curved legs and the interior that is finished in teak veneer. 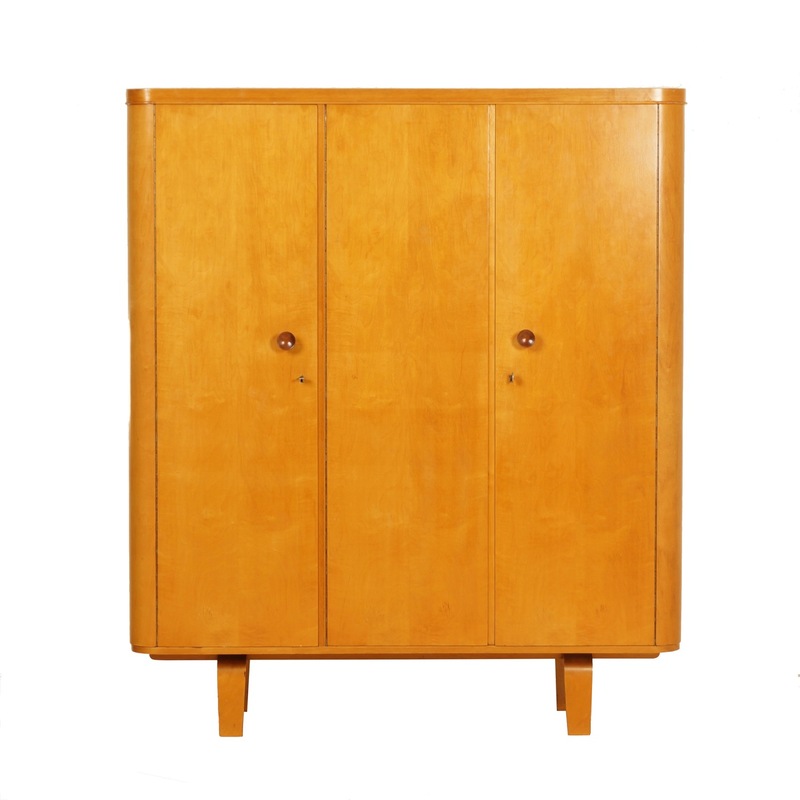 Considering its age this vintage cabinet is still very good and original condition. Normal traces of use, some minimal veneer damage in the cabinet on the side of the shelves. The keys are marked with: db (Den Boer). Source: Catalogue: Den Boer (see pictures).